Note to followers: To understand this post, it would be helpful for you to first read “Sick and Tired” – Part One – posted 10/19. That post was about me being physically sick and tired. The next two posts will cover why I have been emotionally sick and tired. 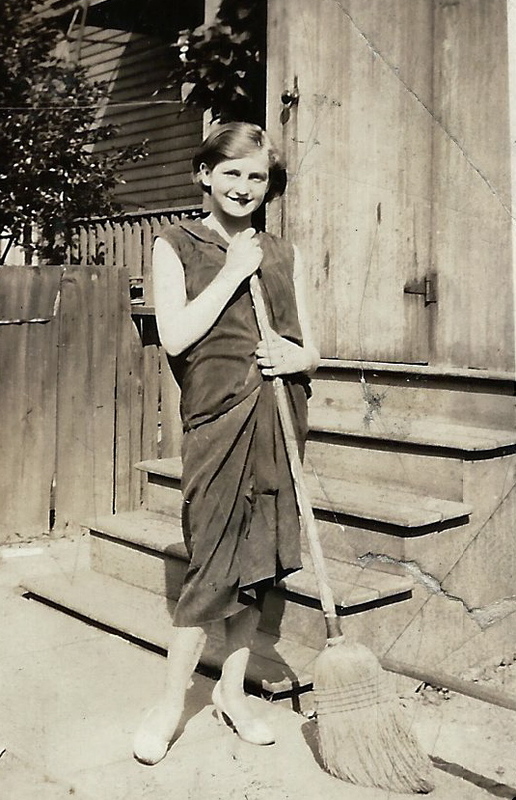 In order to put skeletons to bed, I need to introduce you to my mother – Helen – the orphan. 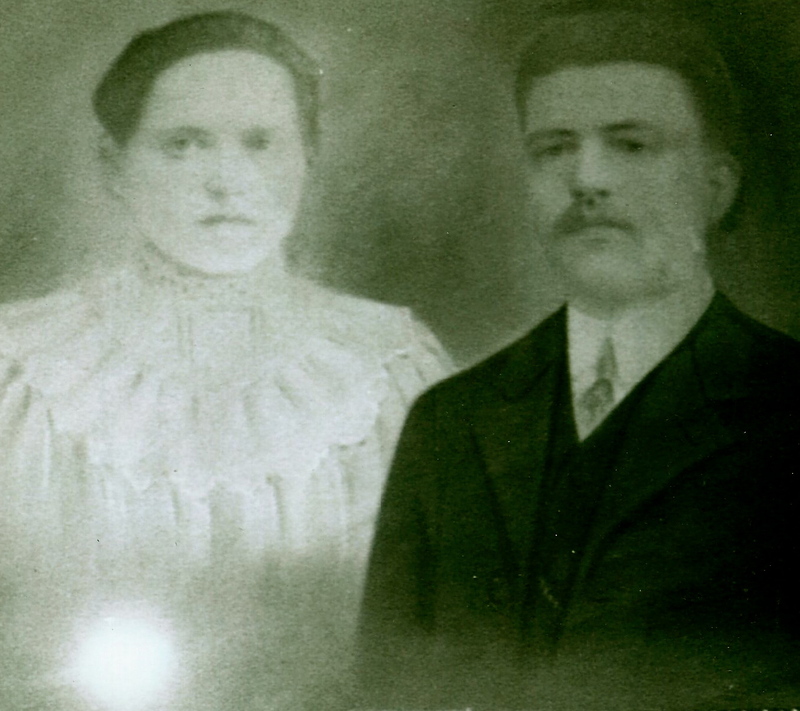 My grandfather came to America from Poland, sometime around 1905. He could feel war brewing, and he wanted to get his family to safety. He arrived first, and even though he was an educated man, he spoke no English. Consequently, he was shuttled off to the West Virginia coal mines, where most fleeing immigrants from Europe were told they would find work. This is the only photo I have of my grandparents, which was taken just before his departure. a building on stilts, with coal dust everywhere, and no plantable yard. 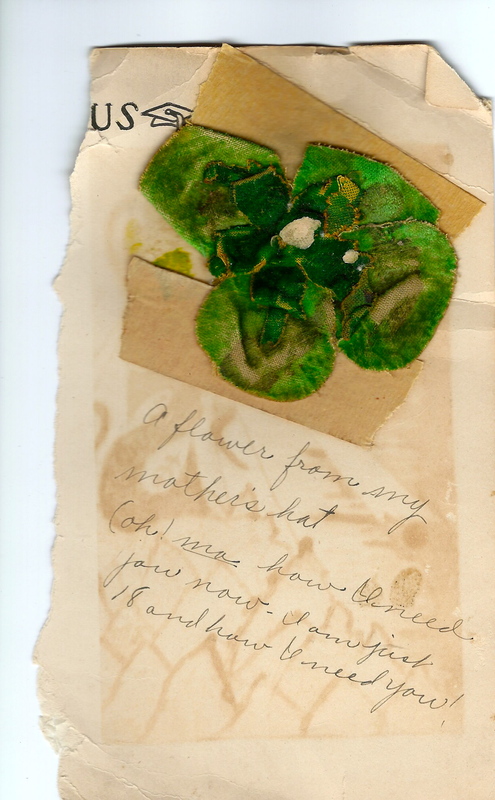 She, my great-grandmother, my great great grandmother, and my mother were herbalists, and so I’ve come to relearn, am I. 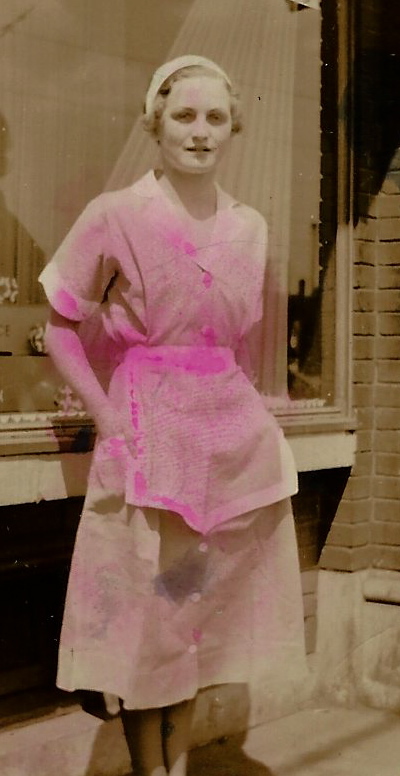 Born in Douglas, West Virginia in 1914, my mother lost both parents – 10 days apart – to the flu epidemic of 1918. She was not yet 5 years old. 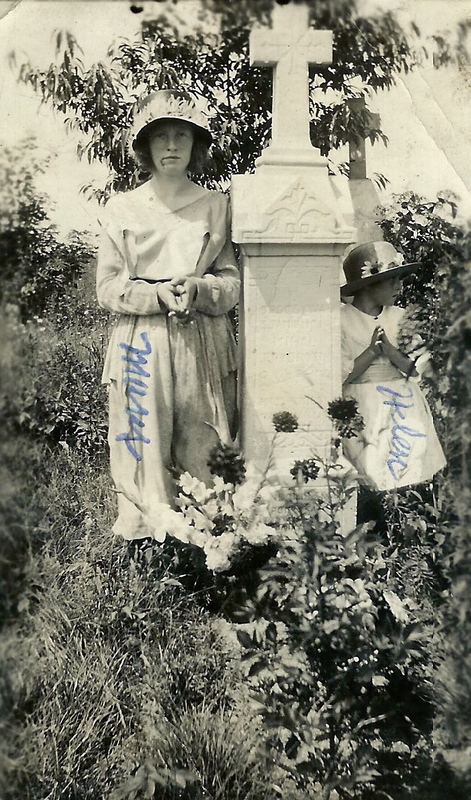 Below she is pictured with my youngest aunt – Czia Pauline in 1919. Czia is the polish word for Aunt. 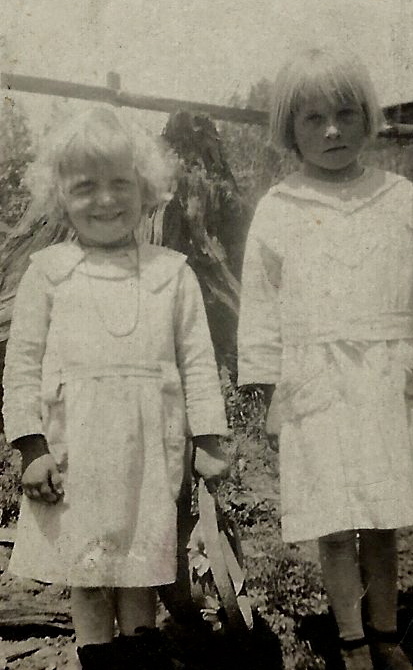 Below, mom is with one of her older sisters, my Czia Mary, in 1920, which is followed by a picture of Mary, Pauline and mom in 1921, right before they relocated to Detroit. I can’t even imagine how difficult their life must have been – 6 children without either parent. My Uncle Martin, the oldest, had promised my grandparents before they passed, that he would keep the family together. 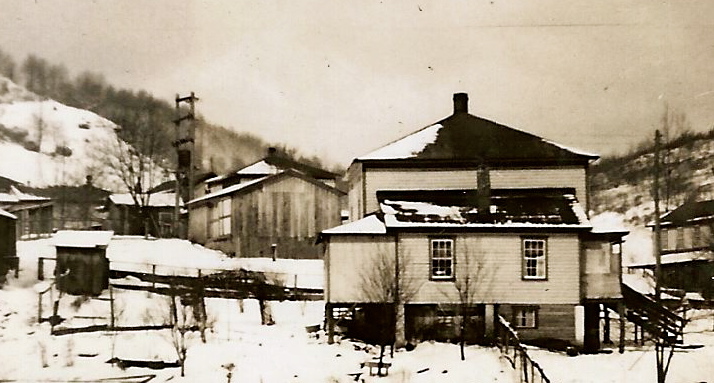 Living in West Virginia, as orphans, was far from healthy, or ideal, so I’m sure that’s what drove him to Detroit, a city crying for workers for the factories sprouting up everywhere. Once they arrived, the older children all went to work in order to keep the family together. Since they are all gone now, I don’t know all the facts. 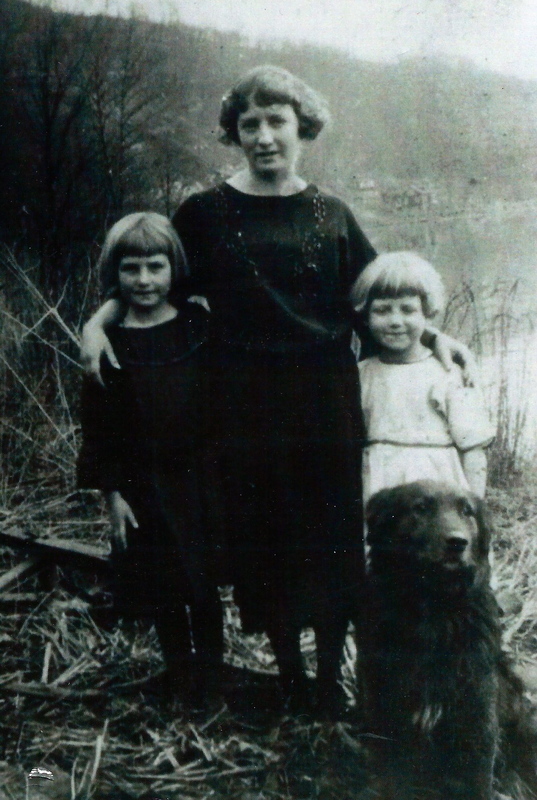 I know they stayed together until the older children started to marry, at which time mom and Pauline were separated. That too must have been traumatic for two very young girls. 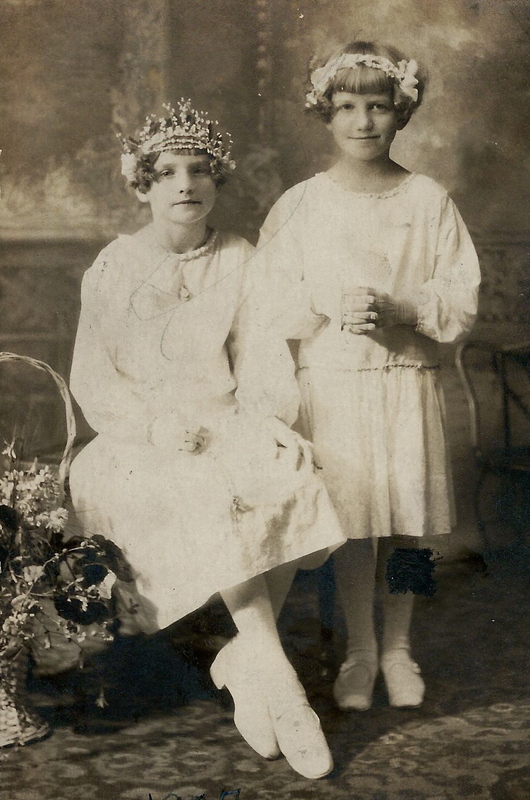 Mom and Pauline in 1923 … perhaps a communion or confirmation photo. 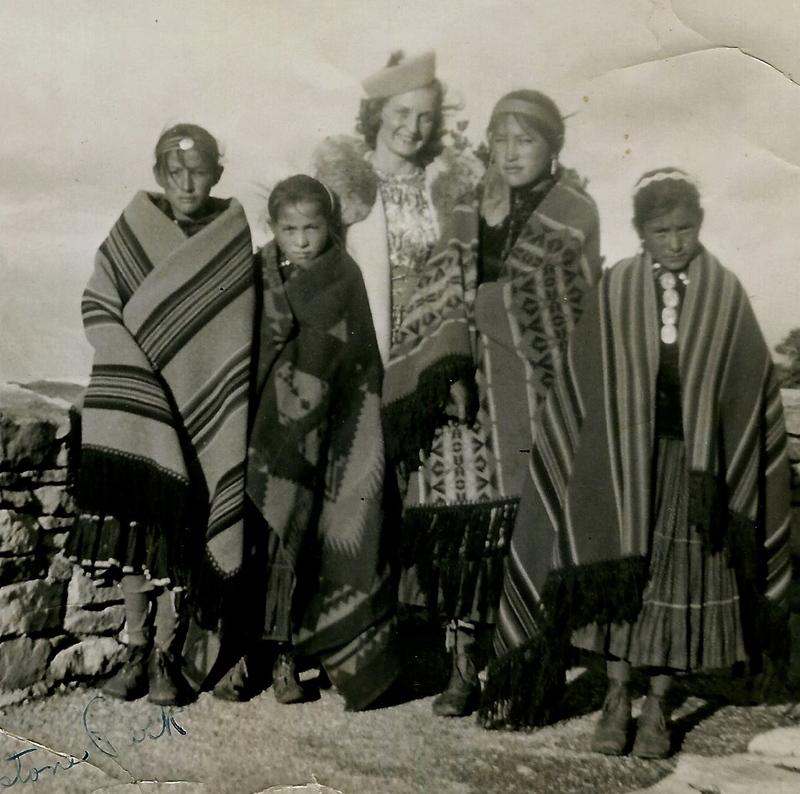 When Uncle Martin married, he, and his new wife Katherine, took mom to live with them. 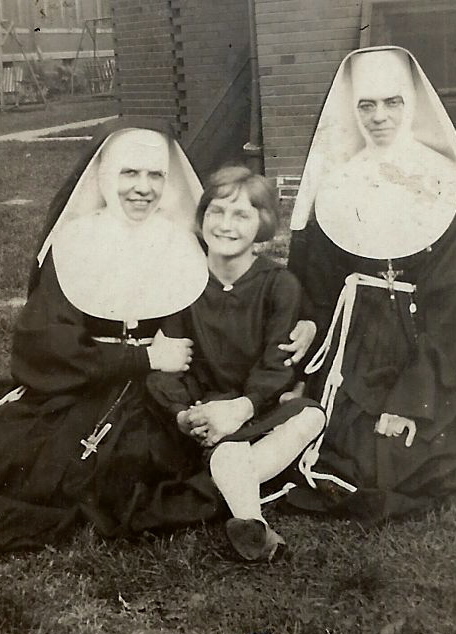 She attended catholic school, and while the nuns adored her – as you can see from the next photo – the kids at school constantly made fun of her because she was an orphan. I believe this feeling of being alone stayed with her throughout her life. As she got older, mom began to bloom. These next two shots are from 1928 and 1929. 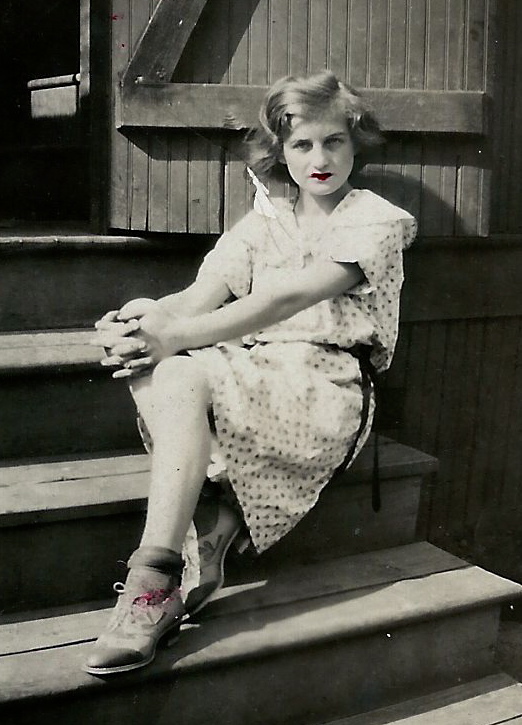 Mom had a sense of style, and at school, she excelled at everything. 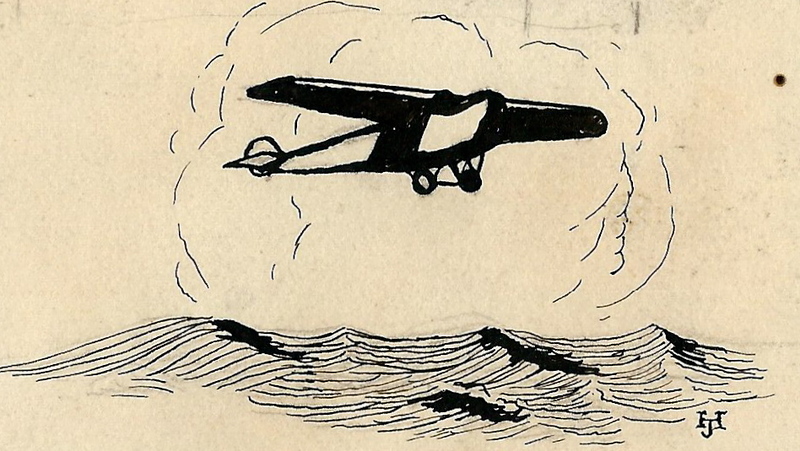 The pen and ink drawing below is one of the few things I have from her hand. 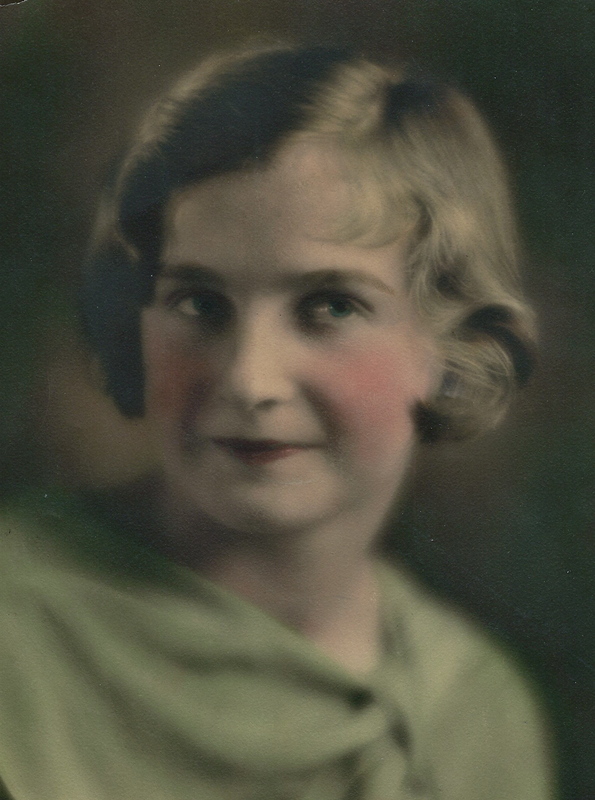 It is one of many drawings she did for her 1931 high school year book, and it is followed by her graduation photo. 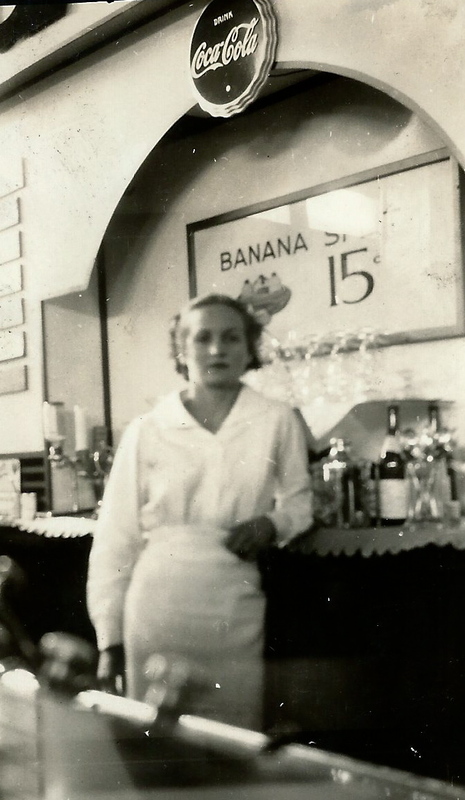 After graduating, mom worked at a local pharmacy/soda fountain. 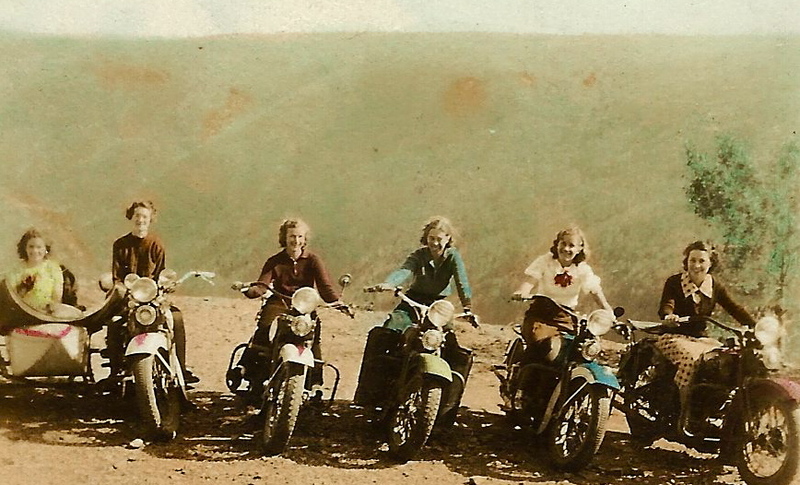 These photos are from 1932 and 1933 respectively. The picture of the flower with writing, is in her own hand. 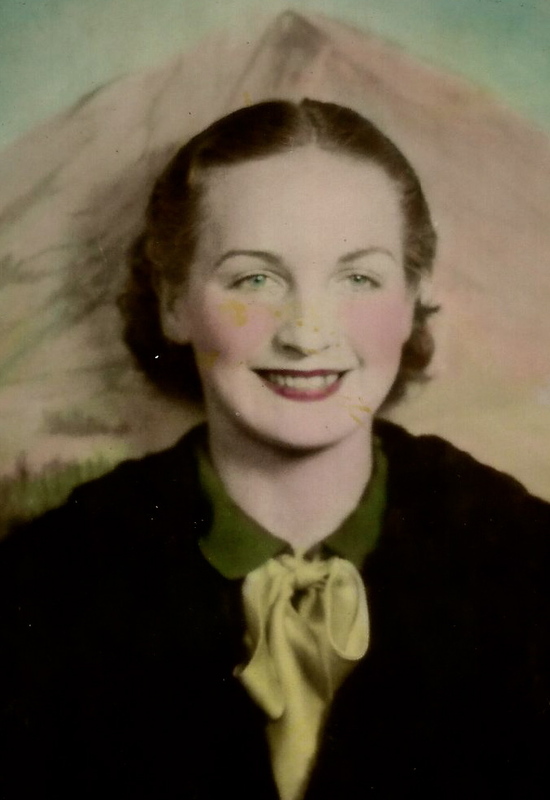 Mom was just 18 then, and you can feel her aloneness from the words she has written here. The next 3 photos are from 1934, 1935 and 1937 respectively. 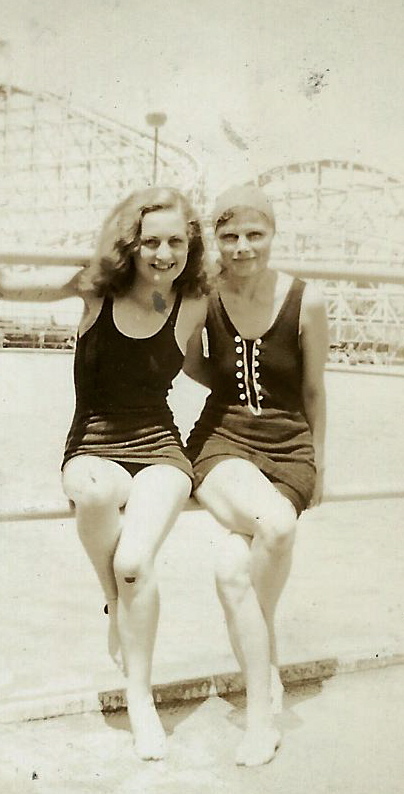 In the first mom is 20 and with Katherine, my Uncle Martin’s wife, at the local amusement park, in the second she is in front of the pharmacy where she still worked, and in the last, mom is with an unidentified officer. 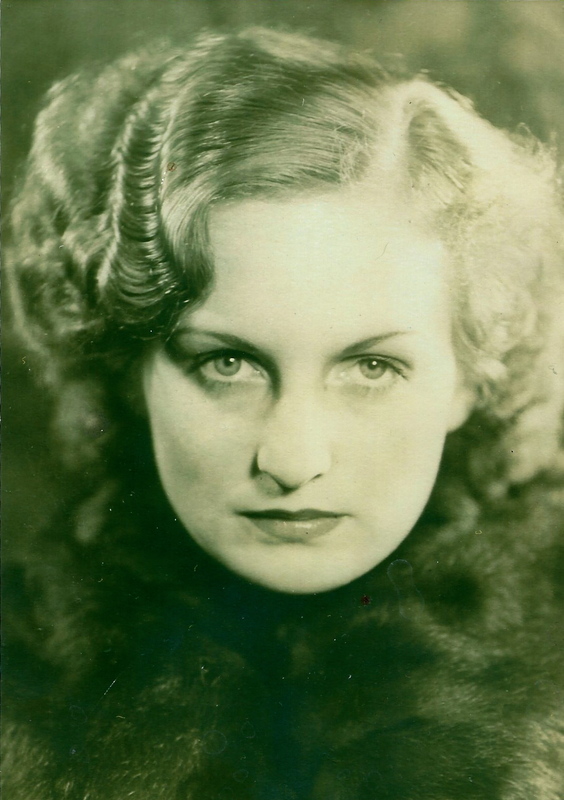 You can see what a stunner mom had become and there are lots of photos of her with unidentified men. This was not her focus however, for she was working hard and saving her money, in order to go to nursing school. 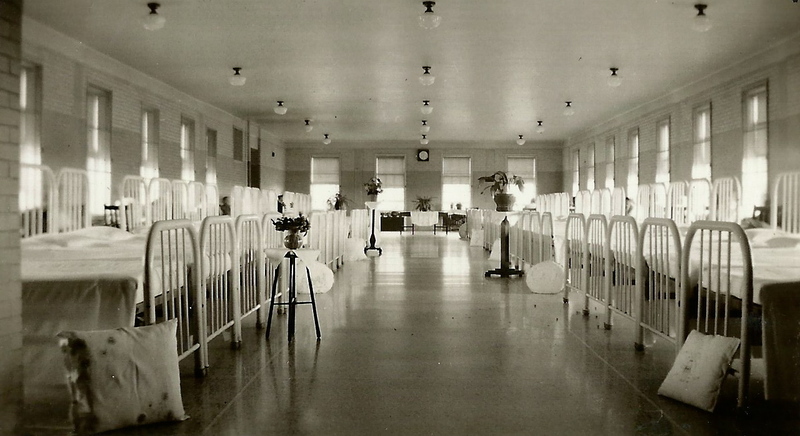 In 1938 through 1941, mom worked at Eloïse Hospital, in the “Women’s Ward”, back then it was another way of saying – women with problems. 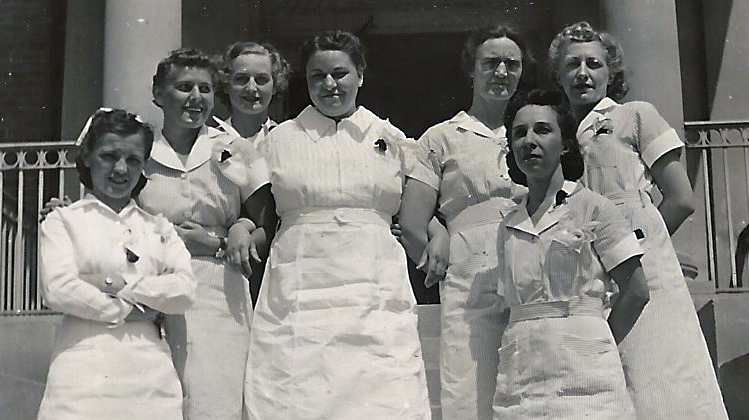 Mom’s life long friend – Francis, on the far left bottom, was the attending RN. 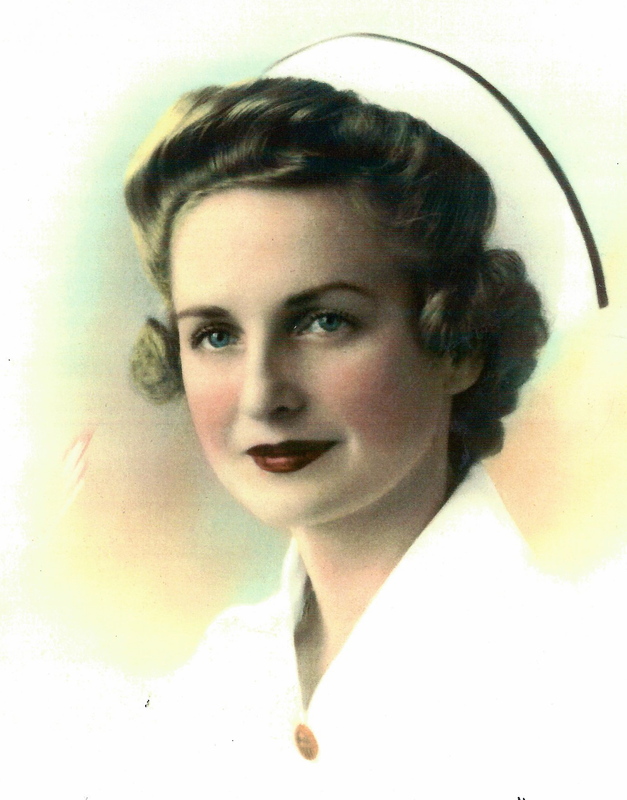 The other women, including mom, were nurse trainees. 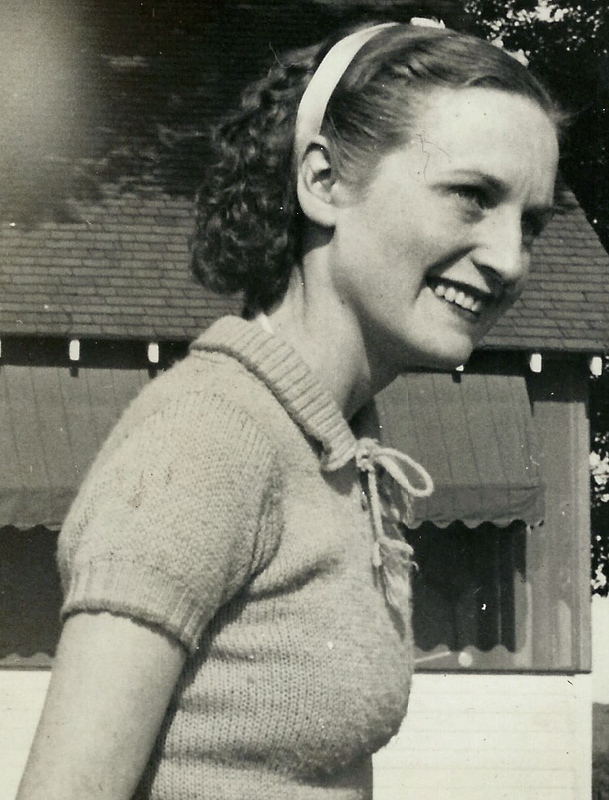 And, mom attended many concerts and dance venues in Florida, California, Louisiana, New York City and Washington, DC. 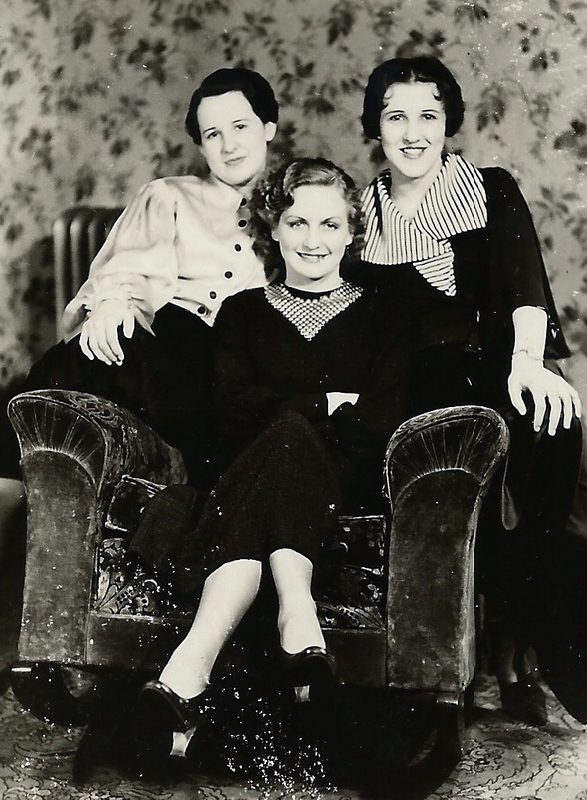 Below, she is seated in the lobby of an upscale hotel, in Hollywood, CA, with Irene and another of her girlfriends, Anne. 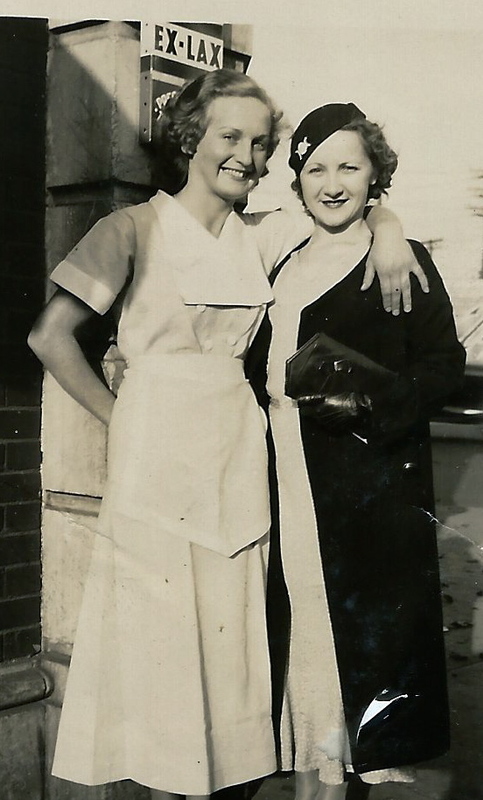 The next photo was the last one taken of mom with Irene, right after her enrollment at Mercy College in Detroit in early 1942, to become a registered nurse. 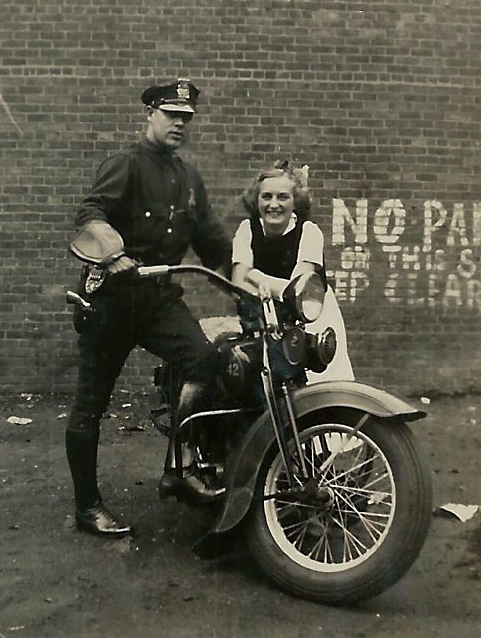 … mom was active in the Drama Club, starring in 3 productions – singing, dancing, painting sets, and designing playbills – and in one production, she stole the show as the male lead actor. She was very convincing. This next photo is the only one I have from her performing days at Mercy College. 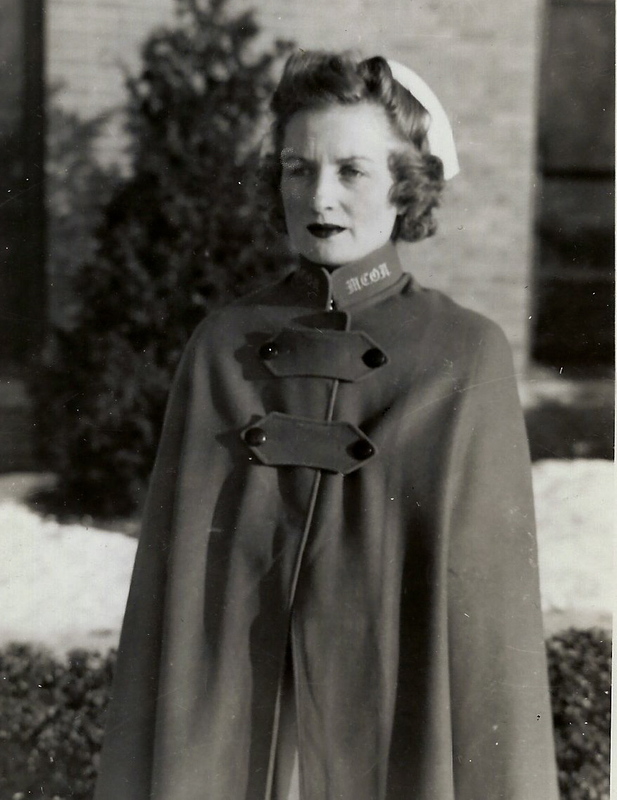 In late 1943, she graduated, while also working at Mt. Carmel Mercy Hospital. There, she had fallen in love with a resident doctor, and they planned to marry when he returned from his tour of duty. Finally, she was happy and not alone. 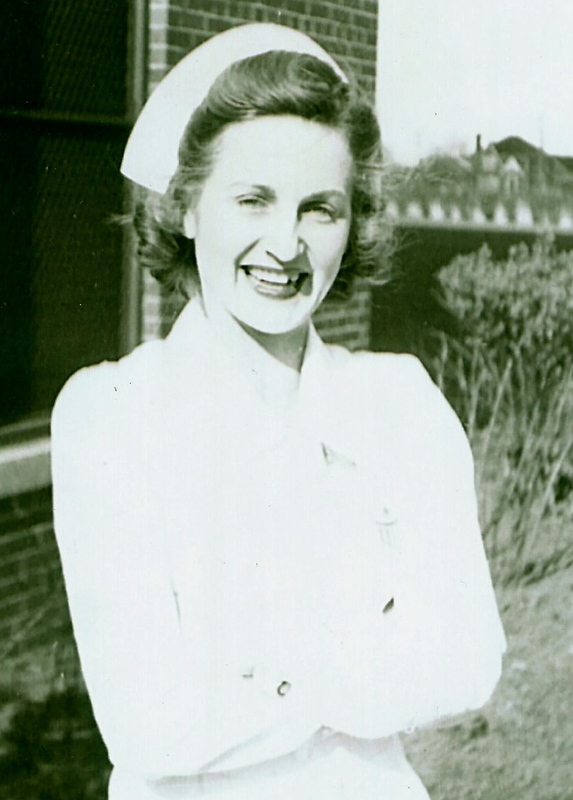 As love sometimes goes, when her beau deployed to England – where he met a war nurse and fell in love with her – in mid 1944 he sent mom a “Dear John” letter. She was heart-broken, devastated and once again, alone. My dad, who I will talk about later, grew up in the same neighborhood as mom. He went to the same school, and always had a “thing” for her, however she was two years younger than he, and not interested. None of us know the “real story” of how they re-connected. 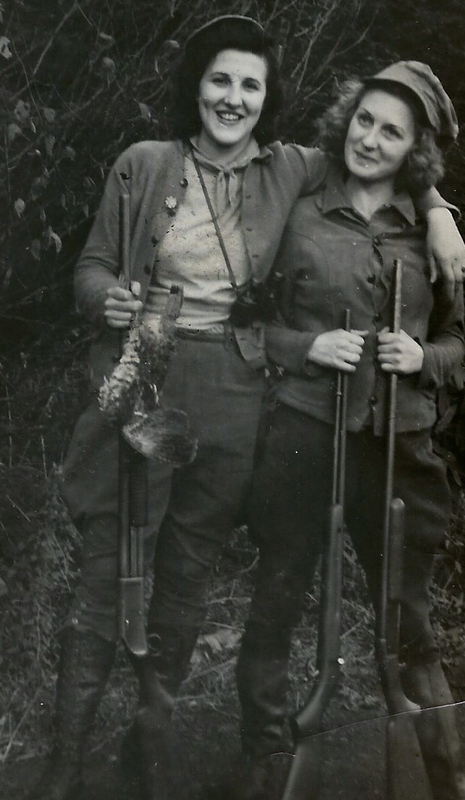 My sister and I have queried all the living first cousins over the years, but no one seems to know or remember. Mom and dad never talked about it when we were growing up. Here is a photo mom sent dad in late 1944, while he was stationed at Pearl Harbor. Based on her apparel and the flower in her hair, perhaps she went to visit him in Hawaii. 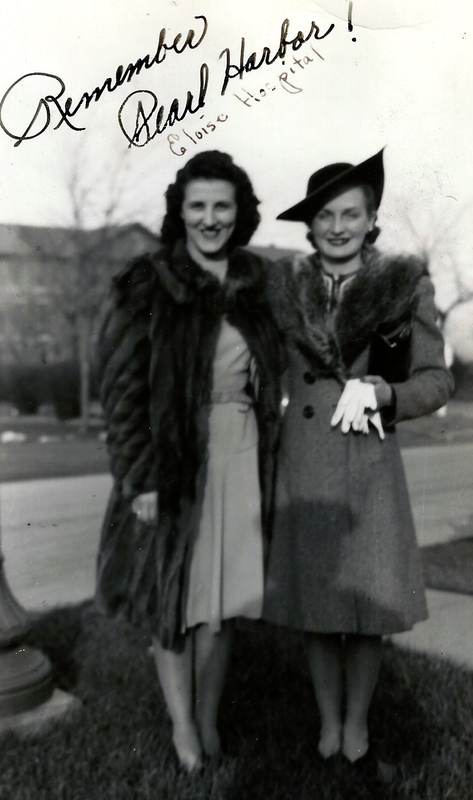 In June, 1945, mom told her friends and family she was engaged to my dad, and despite their advice – that this seemed a rebound reaction to her being jilted – and that she should wait before taking such a step, mom and dad married on October 13, 1945.